Before I address my monthly beauty favourites, I must address my absence. The last few weeks have been crazy. Not only have I landed myself a new job at the Mail Online, I've also been training vigorously for the London Marathon (I must be mad!). It's safe to say, my daily routine has been shaken up just a tad and as a result my blog has taken a back seat. 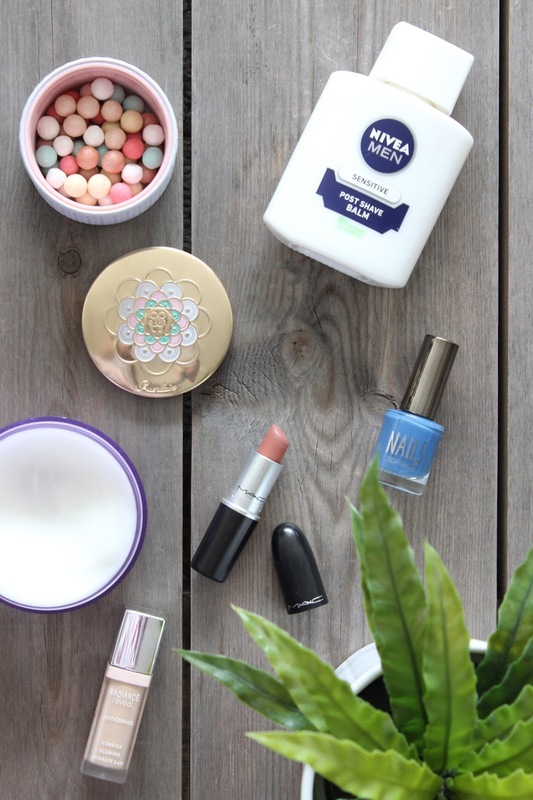 But, fear not, along with Bob's Burgers and Pepsi Max Cherry I have a few beauty favourites I must share with you all amongst my monthly madness! Bourjois Radiance Reveal Concealer £7.99 It's been a little while since I last used a drugstore concealer, but having recently spotted a very nicely packaged concealer from Bourjois in my local Superdrug, I couldn't not give it a try. Now the coverage isn't as high as the likes of NARS, Urban Decay or Collection, but it's seriously brightening and works well on top of my Bobbi Brown Corrector. It's brightening properties remind me of the Clarins Instant Concealer and it has become my go-to concealer for the past month. Nivea for Men Sensitive Post Shave Balm £5.35 If you weren't already aware the best makeup primer may already be hiding in your bathroom cabinet. The unconventional primer from Nivea for Men was discovered by YouTuber Nikkietutorials last year and has since taken the beauty community by storm. And I can confirm it isn't all hype! The milky primer may have a masculine scent, which doesn't stick around, but your makeup will when you apply the balm under your base! Once applied the balm soothes, calms, hydrates and I have noticed my makeup stays put for a considerable amount of time, out performing my high-end primers. Read my full in depth review here. MAC Velvet Teddy £15.50 Mattes are having a moment and the matte currently taking centre stage on my pout, is MAC Velvet Teddy a muted medium-dark beige lipstick. Initially I found the shade a little hard to pull off, but I've been reaching for it on a daily basis and rocking it... all I need now is to master Spice Girls buns and I'll be bringing the nineties back! Full review and swatches here. Topshop Nail Polish in Hayden £6.00* Last month Topshop released 6 denim inspired nail polishes so you can match your manicure to your jeans. Each shade matches a pair of Topshop's best selling jeans; Leigh, Joni, Jamie, Mom and Lucas. Pretty genius eh? I've always been a blue polish wearer and Hayden is a beautiful navy. Colour aside the formula is pretty darn good too. By far one of my longest wearing polishes lasting on average four days without chipping! The downside? If you don't apply a base coat, when you remove the polish your nails will be left looking a little blue! Clinique Take Off The Day Cleansing Balm £22.00 Clinique's Take The Day Off Cleansing Balm is functional, no fuss, non-drying, non-greasy, lightweight, removes even the toughest waterproof makeup, formulated with no nasties, nourishing and suitable for all skin types. Taking a small amount, I use my fingertips to massage the balm onto dry skin and rinse with lukewarm water. Once water is applied the solid balm melts into a silky white milk. After patting my skin dry, it feels thoroughly cleansed, clean and amazingly soft. Take The Day Off is just as good as Emma Hardie's Moringa Balm (although EH smells pretty darn good) and the Oskia Renaissance Cleansing Gel, which had the tendency to leave my skin feeling a little greasy. One word of warning though, try not to open your eyes when removing eye makeup, as you will be left with cloudy vision for the following five minutes.